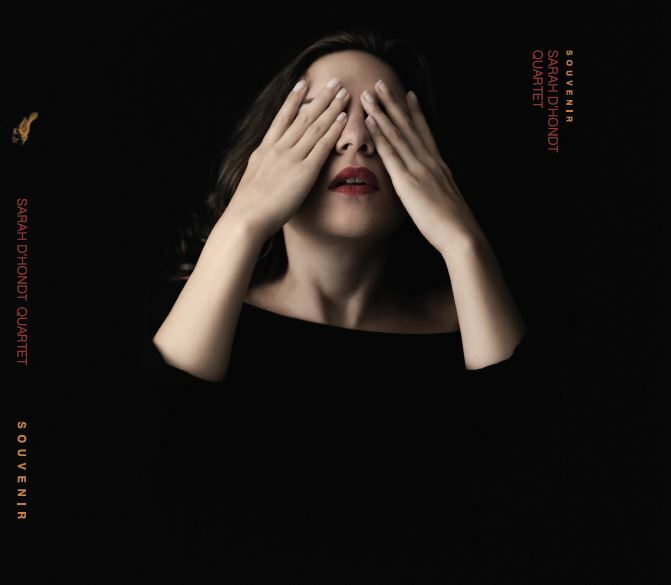 For the past five years, Sarah D’hondt has enjoyed revisiting that musical era with refreshing audacity, accompanied by her quartet or en duo with her accordionist or guitarist. Her performances include both renowned and lesser-known French songs, all delivered by an inimitable and enchanting voice that tends to get right under your skin. A song isn’t just a song. It is also a story of passion, tenderness, or sadness. “Souvenir” includes thirteen unique, original arrangements of great classics which are interpreted by Sarah with brio. Some of them have been crafted and hailed through dozens of performances and will surprise even her staunchest fans. Every track of Souvenir has been arranged as if it had been played live and is accompanied by a group of gifted and passionate musicians : Lieven de Pée (bass), Bart Vervaeck (guitar) and Stijn Bettens (accordeon and arrangements). Also featured are guests Wim Segers (vibraphone, percussion and whistle) and Frederick Van den Berghe (drums and percussion).